We were approached by a local landowner close to the Cambridge border who had, with much regret, an English ash tree felled due to its dangerous state in such close proximity to their home. 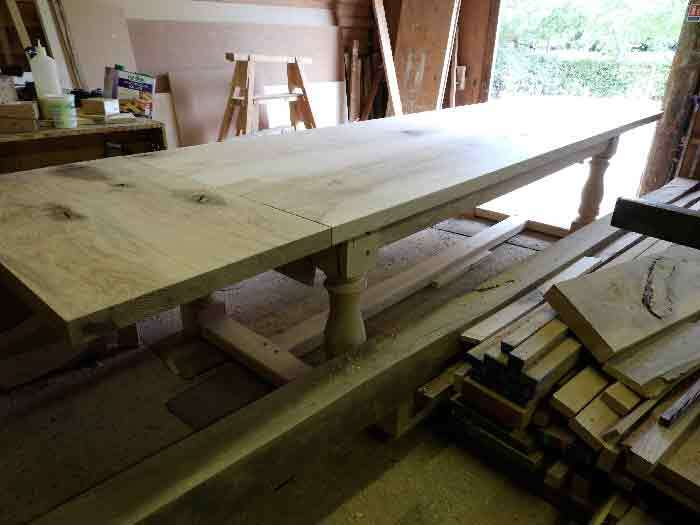 Realising the beauty and value of this magnificent timber and seeing the potential to commission a family heirloom, we were asked to use our traditional cabinet making skills to design and produce a large extending dining table. The felled timber had already been planked and put in stick within one of their open-fronted barns for several years, with the natural process of air drying being well under way. Our design brief was to produce a sizeable dining table to complement their fine listed property, in order to seat 12 people closed and 16 people when fully open. 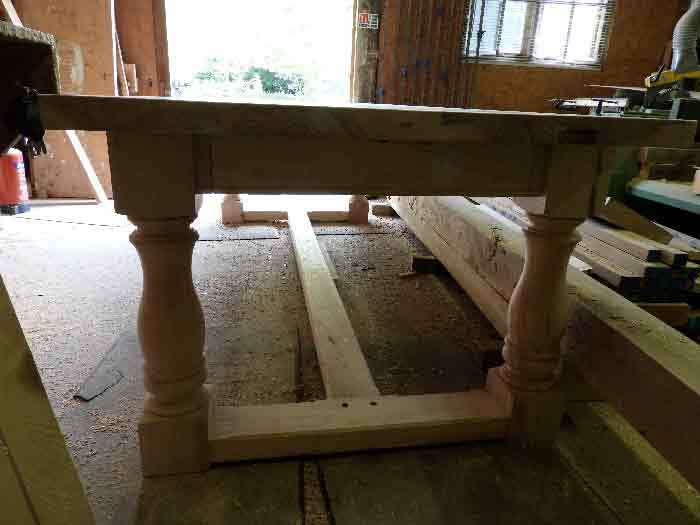 To produce this handmade furniture, we used traditional mortice and tenon frame style with heavy turned legs; a lower central stretcher; with the additional leaves concealed when not required, behind a faux drawer front to either end of the table. A clever arrangement of retractable lopers extend to support the additional leaves. Due to the nature of the old ash tree, it abounded with a characterful grain, full of knots and figuring. Careful selection of the timber ensured the straightest, strongest pieces retained the underframe, whilst those of a more interesting nature and perhaps less structurally sound, were retained for the main top and extension leaves. 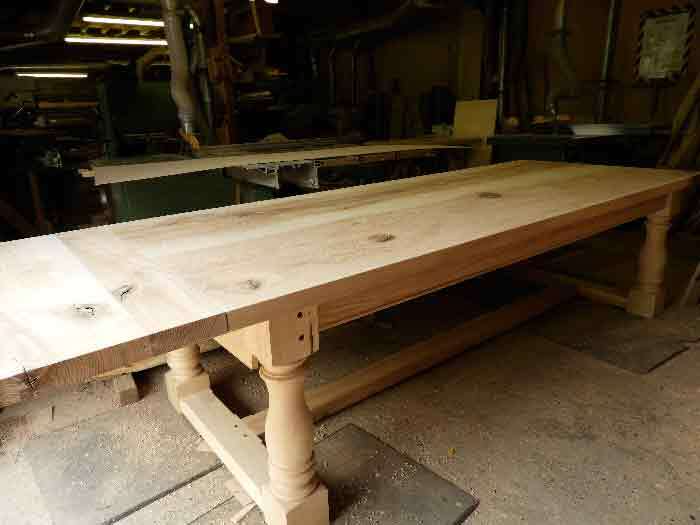 Due to access problems for a table of that size, the longitudinal underframe members were removable for transit, being tenoned in their end frames and secured into the corresponding mortice with matching ash pegs.